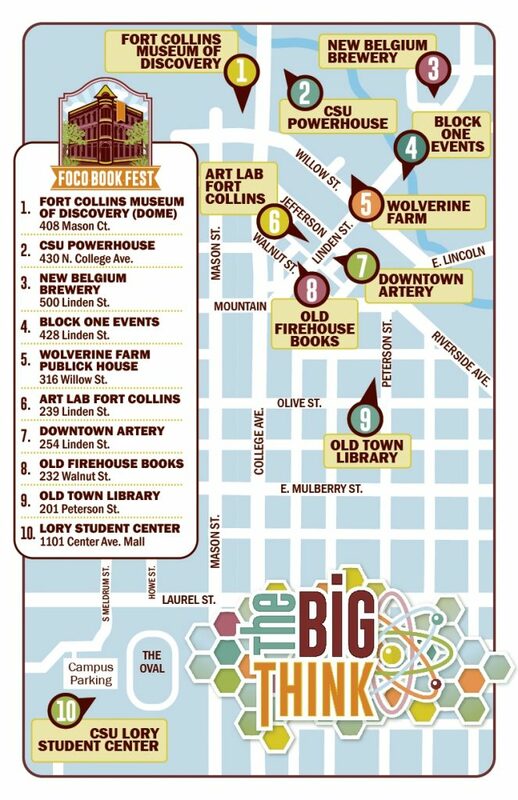 Welcome to the 2018 Fort Collins Book Festival! This year’s Festival has expanded to two days: October 19-20, 2018. The main festival day (Sat. October 20) occurs at venues throughout Old Town Fort Collins. Writing Workshops (Fri. October 19) take place at Old Town Library. All writing workshops are free but require registration.